Inventory We are a resale marketplace, not a box office or venue. Ticket prices may exceed face value. This site is not owned by Cal Coast Credit Union Open Air Theatre at SDSU . Cal Coast Credit Union Open Air San Diego is located right on the San Diego State University Campus. There are not many Universities that boast their own amphitheater on campus. With large national tours like the Black Eyed Peas, Elton John, Weezer, Gwen Stefani, and upcoming Third Eye Blind many concerts go sold-out. Four thousand seats can make a performance seem intimate while not sacrificing the large crowd feel of being part of something. With many available performances to choose from pick yours soon and enjoy that beautiful Southern California weather and a concert at the same place. CalCoastCreditUnionOpenAir.TheatreSanDiego.com is a privately held company that specializes in the online sale of tickets in the secondary market. We are not affiliated with any primary box office, supplier, or official site. Prices on our sites can be well above or below face value and have a tendency to change quickly with demand. 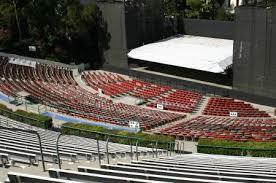 To purchase tickets to all Cal Coast Credit Union Open Air Theatre San Diego, CA events simply click on the show you wish to attend or call our operators at anytime.